Recipes so Good no-one will know you're Cheap! What Herbs and Spices do I Need? Back to School Sales – Not Just for School Anymore! When I first started writing about food, it was always my intention to highlight ingredients, how to shop, compare prices, choose them, store them as well as use them. And I did make a stab at that, years ago, under “Ingredients” above in my menu. 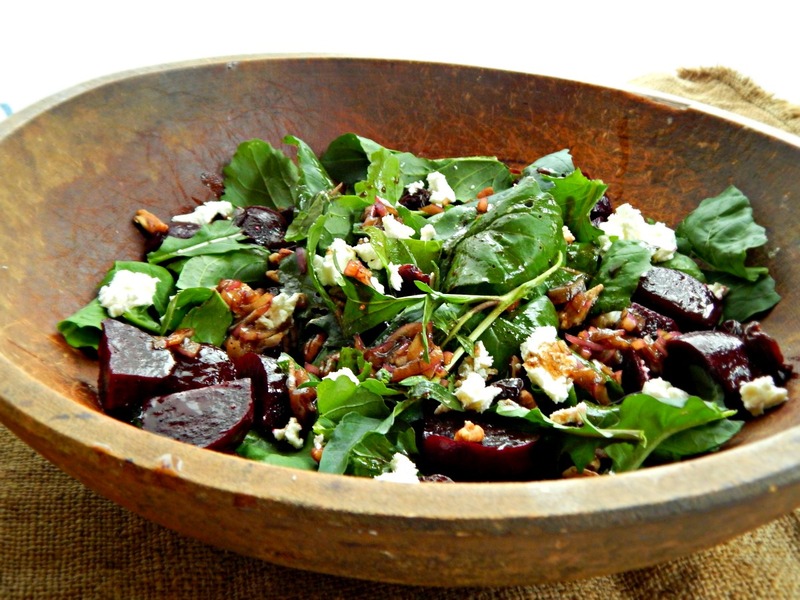 I haven’t posted a big ol’ salad for a while and for a while I’ve been intrigued by this Cubby’s Beet & Goat Cheese Salad. 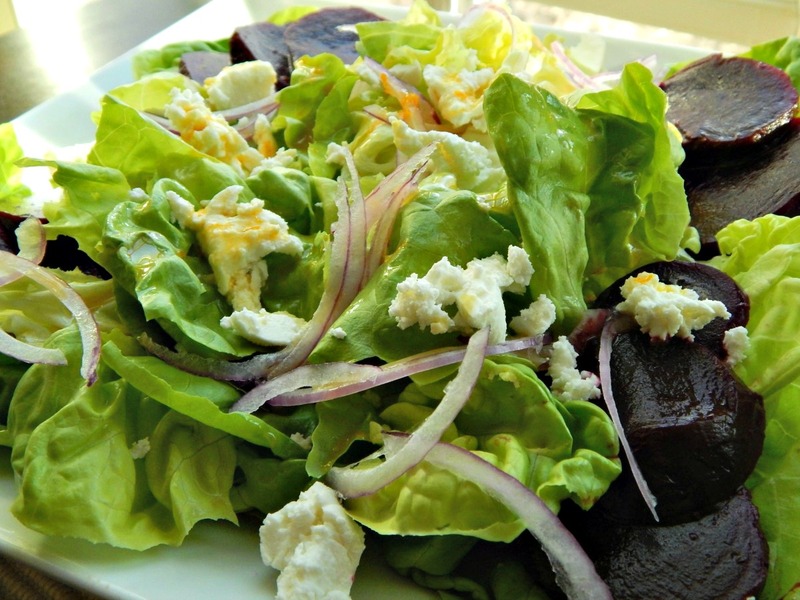 As stated on Cubby’s website, the salad is a mix of Spring Greens, Roasted Red Beets, Toasted Pistachios, Goat Cheese, Avocado, Orange Slices, Orange Zest, and Orange Balsamic Vinaigrette. 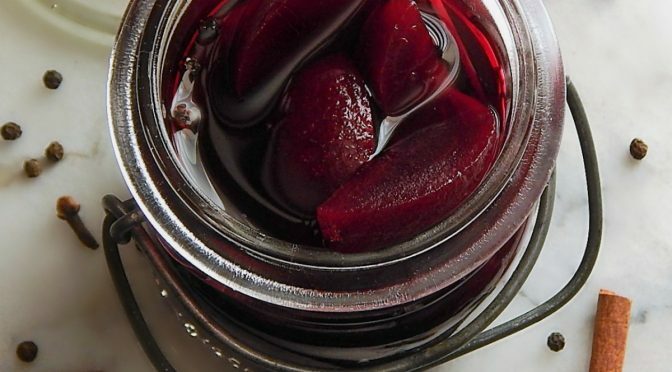 My Grandma’s Refrigerator Pickled Beets are a simple, classic pickled beet that makes just enough to fill a jar. Because Grandma’s Refrigerator Pickled Beets are so easy, you can just knock them out when you have a few minutes. 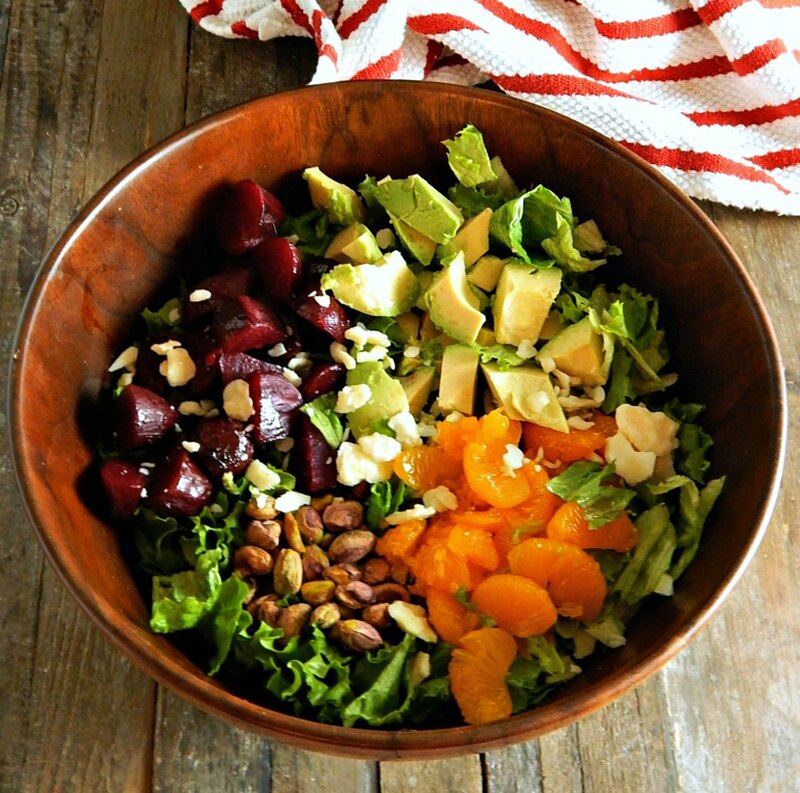 Irish Pub Salad is just chock full of all of my favorite things! It’s as if you took all the best things from one of those old tired salad bars from the ’90s, except everything is updated and fresh and then you topped it all off with a marvelous, creamy dressing. 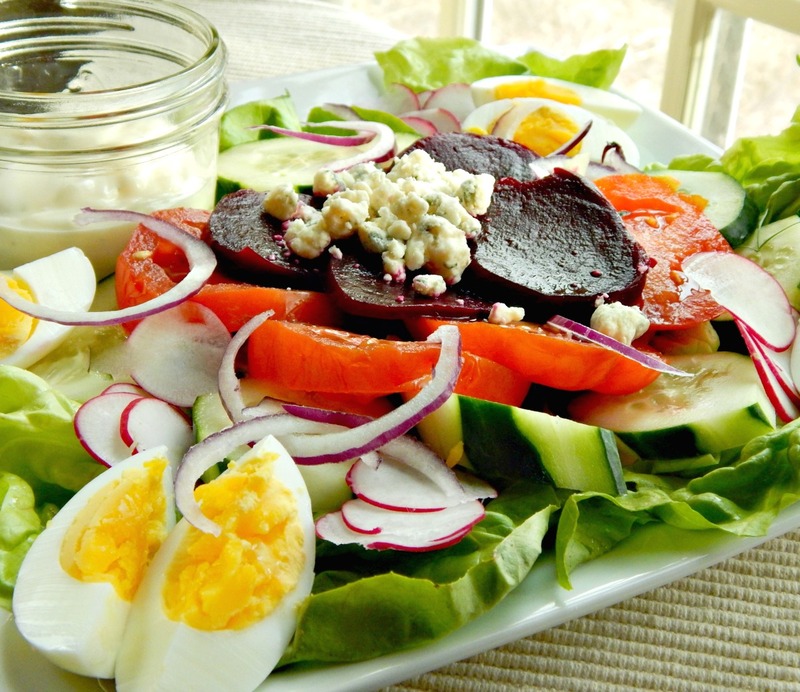 I mean, just look – there are hard-boiled eggs and pickled beets in this salad. And tomatoes, red onion, radishes (and other veggies if you’d like) and don’t forget the sprinkling of bleu cheese! Some of you (yes, you know who you are, baby sis and big bro!) 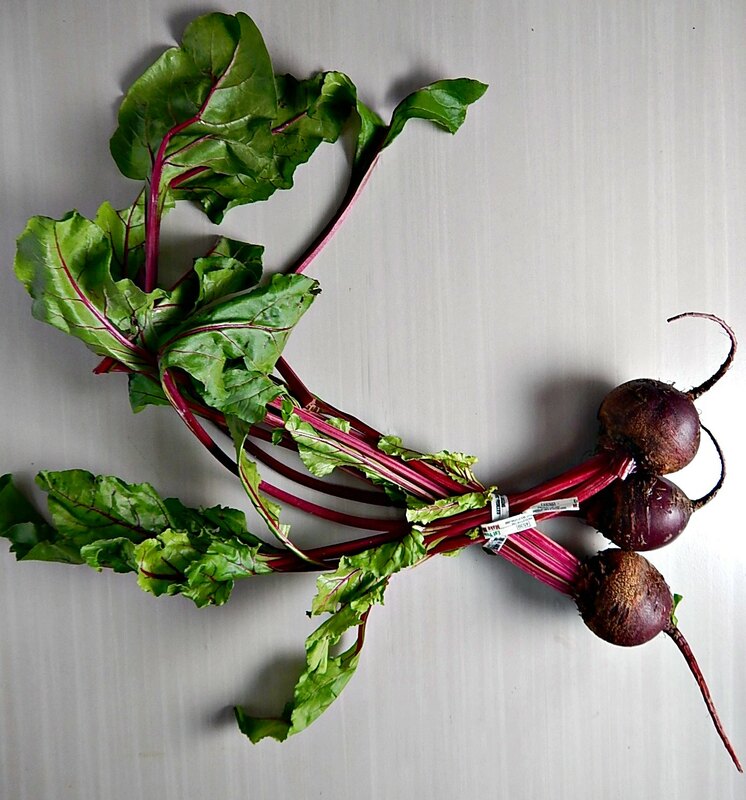 may have heard me waxing on poetically about the humble beet. I love them and am always looking for ways to add them in to my diet when they’re available at the grocery or farmer’s market. Add your email to follow all my fabulously frugal food adventures! Meet me on Facebook? Click here!